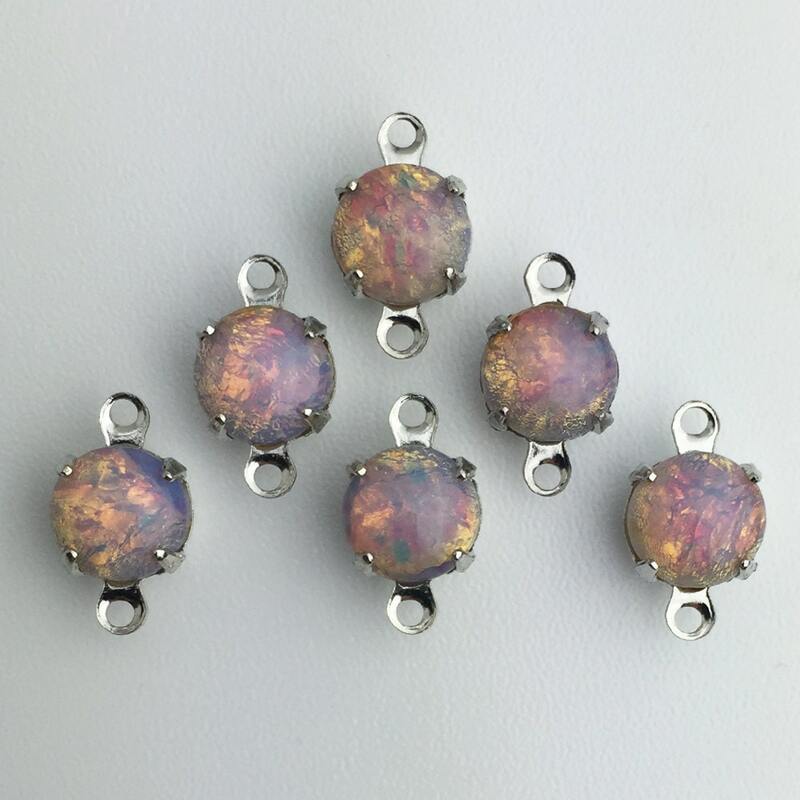 These are vintage opal glass stones in a silver plated setting. The setting has two loops for attaching to your creations. The stone measures 7mm. These are 14mm long with the loops. You will receive 6 pieces. Lovely! 2loop is convenient for me. Beautiful opals, fast shipping, great shop! Smaller than expected but good quality and shipping was fast! I loved the look of these opals, and everyone around me did too!